Would you like to start your career "in good company"? We are looking for talented and highly motivated new graduates to join our talent programme and become the next generation of leaders in our industry. Our Future Talent Programme - Technical Track is a 1-year programme that will develop your engineering skills and bring you leading technical knowledge in an accelerated way. From day one, you’ll be delivering results as part of the team and hold an actual position. Your manager will plan the content of your programme and support you in your development journey. 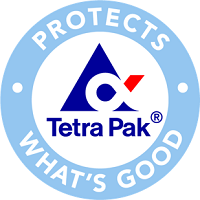 You will work in various parts of Tetra Pak and gain experience from a network of Colleagues all over the world. And that is just the beginning of your Tetra Pak career. After the programme finishes you will have gained valuable experience to help you continue your exciting career within our company. Make function description; make documents for test and commissioning; select dimensions of used components. Make specifications for purchase of components, check and approve documents and made process design before kick-off, support PSM / SSMB / SSML / SSMU to technically approve order and specification in order documents as well as relevant quotation content at kick-off meetings, check and approve process design work according to "kick-off summary/protocol"